Update 9/29/2018: I’m sad to report that Pie Hole has since closed its business. 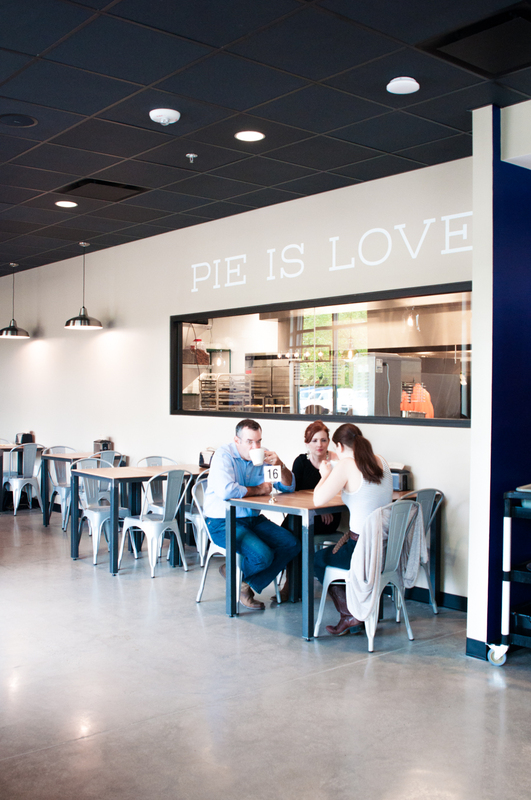 Hailing from California, The Pie Hole just opened their seventh location last week on the opposite coast in Durham, North Carolina. 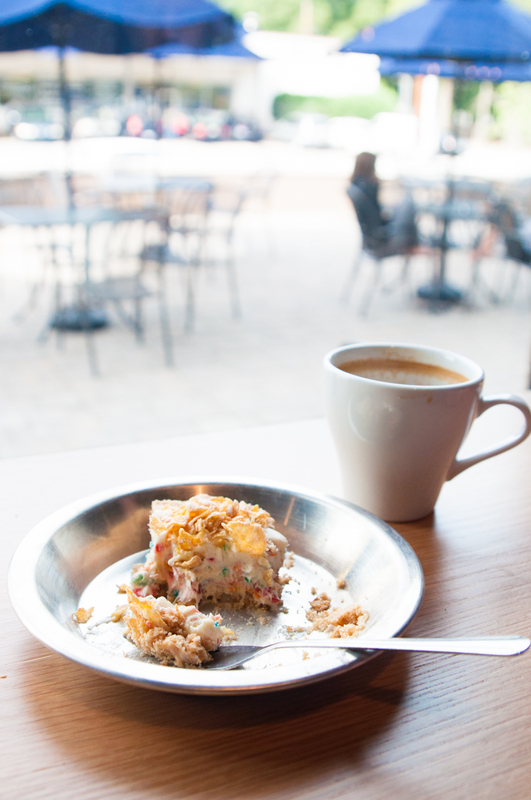 I was eyeing their Cereal Killer Pie even before they opened and am happy to report I finally put it in my pie hole. I made a spontaneous trip to Pie Hole yesterday and texted one of my new friends in North Carolina and asked if he wanted to join me. I met Arturo three weeks ago on my second day as a North Carolina resident. We bonded quickly over our shared habit of photographing food. We split the Mac and Cheese Pot Pie, the Shepherd’s Pot Pie (I wish it was called “Shepherd’s Pie Pie”), and the Cereal Killer Cheesecake. Shepherd’s Pot Pie, $7.95I merely licked the knife I used to cut out one bite for this photograph and melted with pleasure. 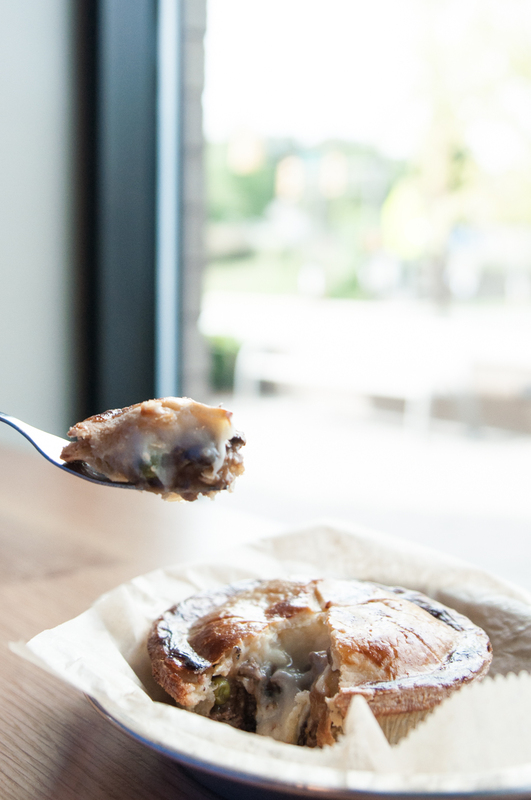 This pie won my heart. Mac and Cheese Pot Pie, $7.95The Mac and Cheese pot pie complemented the gooey Shepherd’s Pie. If you only have space for one and no friend to split, I preferred the Shepherd’s Pie. 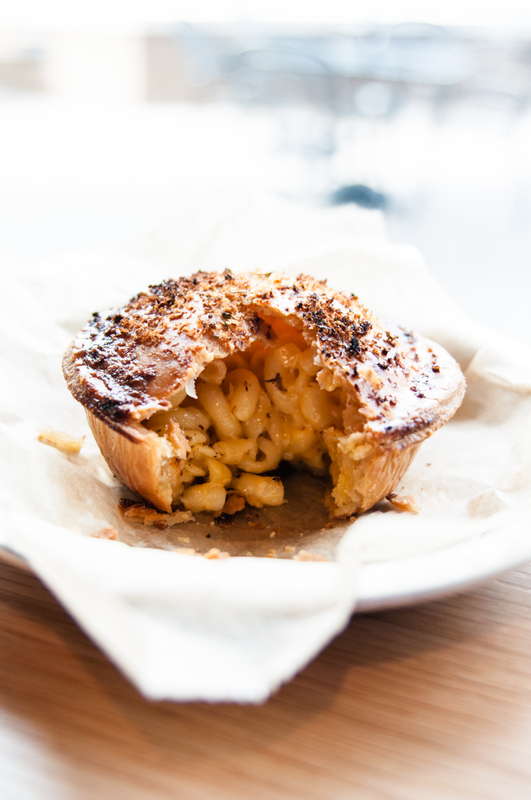 The mac and cheese pie is just a tad dry. Cereal Killer Cheesecake; $6.50Cereal Killer Cheesecake has three of my favorite things. Fruity Pebbles, silly food puns, and cheesecake! The crunchy cereal topping added a wonderful texture to the ridiculous but delightful cheesecake. I already cannot wait to come back to work my way through the menu. I’d have to bring more friends because I’d still want repeat pie hole action with the Shepherd’s Pot Pie and the Cereal Killer Cheesecake. 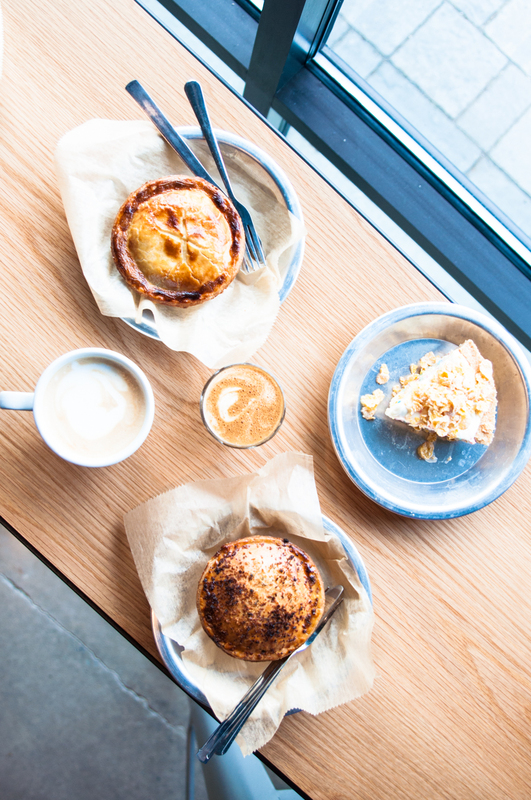 I hear great things about the Earl Grey Tea pie and there’s a rumor that they have a seasonal matcha pie. You remember how I love matcha. 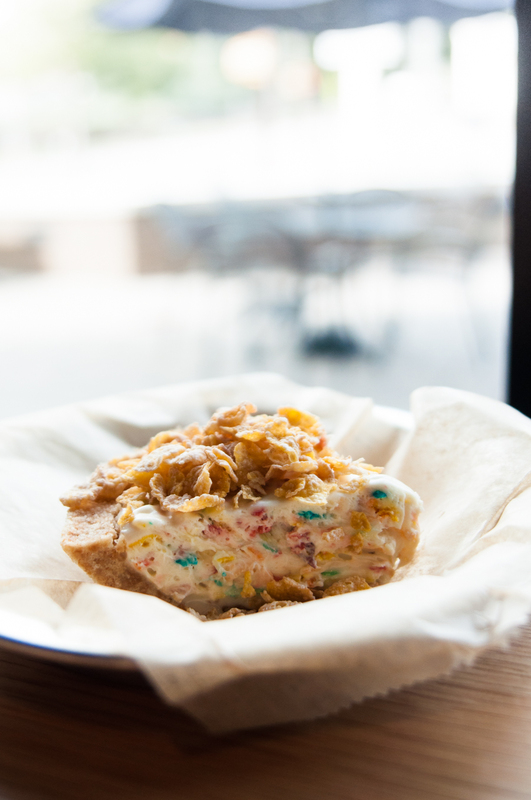 Note for your visit: The Cereal Killer Pie is only available on the weekends! So that concludes my first and favorable impression of The Pie Hole. 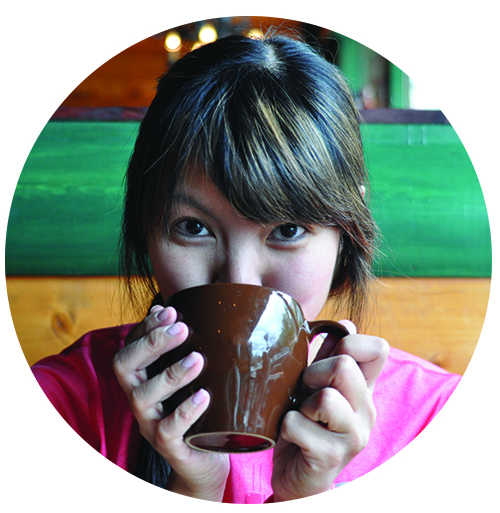 Are you from The Research Triangle Area in North Carolina? Where should I eat next?